Home EarnSaveMoney Review Have You Heard The Buzz It’s All About ZAZZLE? This is a unique take on business development. A leap from retail to e-mail marketing. A light bulb of an idea that has a personalised its way into the mainstream. So, just what is Zazzle all about? More than a traditional marketplace. A place where designers, creators, artists and developers come together with a community of individuals with a need and desire for creative products and amazing art to complete their celebrations, business promotional needs, interior decor and quite possibly their wardrobes. If you can imagine it, then you are going to love how you can create it on Zazzle. This website provides you with the tools you need to create your own celebration, business promotional gifts, business cards and so much more! The thing that makes this e-mall-market place so special is that it is all about you the individual and the vision you have for your party, wedding, celebration or business marketing. Zazzle has quite distinctly redefined mobile commerce. They have singlehandedly developed the worlds best platform for bringing an idea from conception, to design, to production, to sale, and finally in the hands of an individual who will love it. This online marketplace is open to individuals who wish to create, plan, sell and purchase. You create the idea, make a plan and they produce the product and deliver it to you or your customer. It is that simple. Customise your life on a personal level or customise your business relationships with just the right promotional gift or product. Zazzle is perfect for the independent online entrepreneur who may have a great idea but needs a little help with production and logistics. Do you already have your own website? Info websites are big and provide advertising income streams to their developers. Have you ever thought of creating products that work well for your niche? Many solo-entrepreneurs can create an additional income stream with Zazzle. Do you write a blog about kids parties, home dA©cor, outdoor space, weddings or how to promote an online or brick and mortar business? Zazzle can provide you with the tools you need to develop your own product lines, or you can become an associate and market any of the products already available to the public on Zazzle today. Who is Best Suited to Take Advantage of This Unique E-Mall-Market Place Today? Artists, Graphic Designers, Photographers and Musicians can create their own promotional products and pages on Zazzle and sell their own work. They can also link to their Zazzle page from their own websites. Have you uploaded hundreds to thousands of images to shutterbug or other stock photo sites to find that only a few sell regularly? Zazzle may be a new avenue of revenues for your photos, graphic designs or custom artwork. If you have an in-demand image, you may want to offer that image or saying as a T-shirt, mug, lampshade or as a business card background. The list of possibilities is almost infinite. 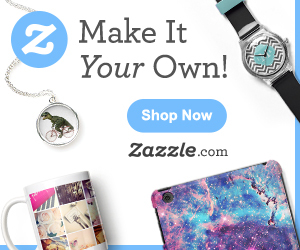 Zazzle takes the concept of customizable, personalised gift giving to a whole new level. If you are a crafter at heart but, haven’t been able to find the time to spend on at home crafts. Zazzle may be what you have been looking for. A place with the community and the ability to create a personal custom project at home within minutes. Zazzle builds your project to your exact design specifications and delivers them to you within an agreed upon timeframe. You’re the project manager and the tools are available today for you to create a broad range of promotional materials and products. Get your sales back on track with Zazzle. Whether we are talking about personal relationships or business relationships the power to create a customizable design, product or service is the direction the global economy is headed. Individuals who set up their own worlds are in demand. Zazzle provides a unique pathway to creative success as an individual, artist, designer, developer or a business owner. Transforming ideas into tangible physical objects, Zazzle considers itself the making engine. Their goal is to provide a platform that allows every conceivable customizable, on-demand product to be available online on one website. The software, hardware, design ware, for anyone and everyone who has an impulse to do their own thing today and see it finished in hand tomorrow. The technology to turn any dream into a reality is a lofty goal. As we become a global society understanding what it takes to make and keep personal dreams is what Zazzle has had in mind from moment o. A technologically sound and socially involved vehicle that allows each individual creative thinker to work quickly, passionately, smoothly and efficiently within every moment of every day successfully. If it is time for you or your business group to take a step in an exciting direction than do not delay another minute. Check out how Zazzle can transform your home, celebration or business now. Buy a personalised promotional gift, family gift or plan for a unique celebration today with Zazzle.